Architect: The RBA Group, Inc. 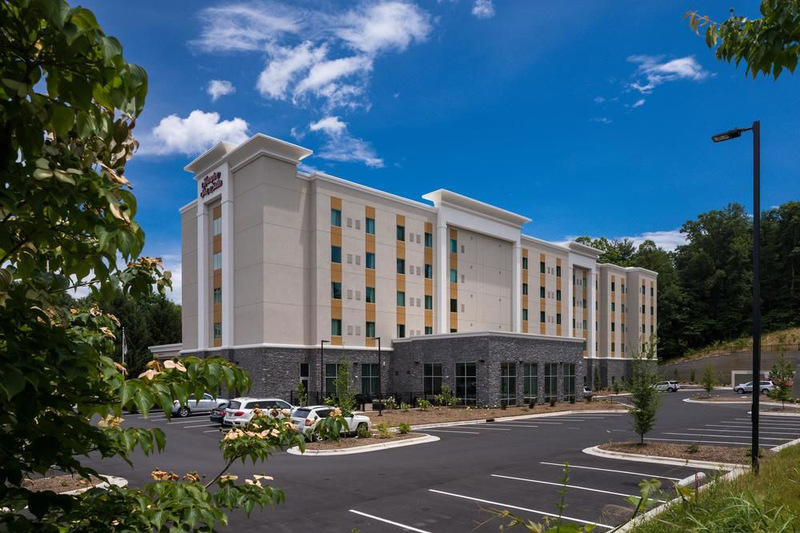 The Hampton Inn & Suites Asheville, Biltmore Village in NC consisted of construction of a 74,133sf, 5-story hotel with 118 guest rooms. Omega completed all site work and building construction on this project. The site work included extensive grading operations, segmental retaining wall, asphalt paving, stamped concrete and brick pavers. 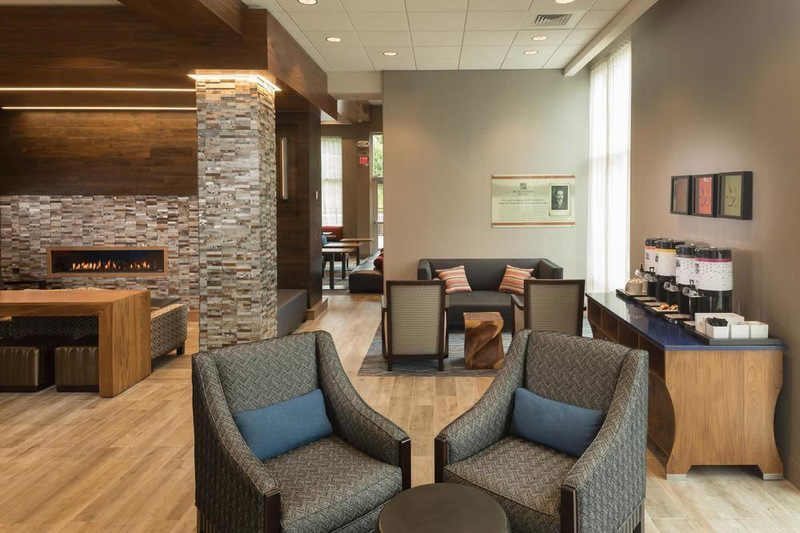 The building construction included exterior façade consisting of cultured stone veneer and EIFS veneer. The project also included tap room with seating area, specialty overhead doors, commercial breakfast area with large custom barn doors and artisan barn hardware, food prep area, exercise room with sports flooring, full commercial laundry area, guest laundry area, indoor pool, outdoor courtyard area with gas fire pit, elevators, HVAC systems with special occupancy sensors, electrical systems and custom lighting package.